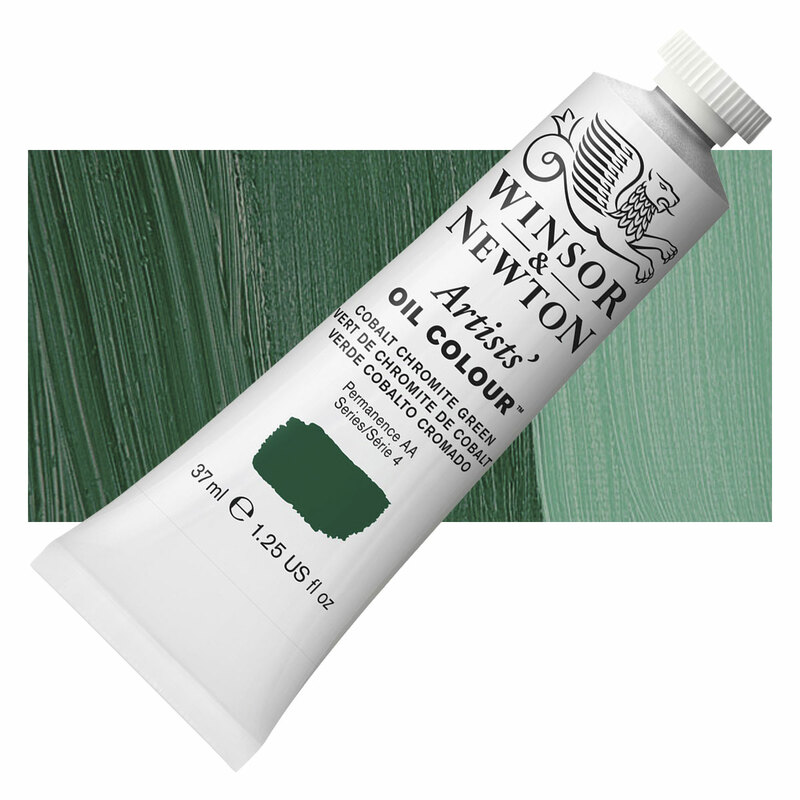 Winsor & Newton Artists' Oil Color is unmatched for its purity, quality, and reliability - a success that is reflected in its worldwide reputation among professional artists. Sets also available. This pigment offers a deep but dull and opaque tone of Cobalt Green. It has moderate covering power, but low tinting strength. It is primarily for use on its own, or for mixing with other cobalt colors. It is an alternative to cobalt(II) zinc oxide, another form of Cobalt Green. Cobalt pigments are absolutely lightfast. Cobalt chromium oxide is slightly toxic, and is a possible carcinogen. Cobalt chromium oxide is an alternative Cobalt Green to the better known cobalt zinc oxide. Both pigments were used by landscape artists before phthalocyanine-based pigments became widely available in the 20th century. ™ Winsor & Newton is a trademark.